Nigerian Nobel laureate, writer, poet, and playwright, Wole Soyinka, after he revealed that his name is on the hit list of bomb throwers, Boko Haram. 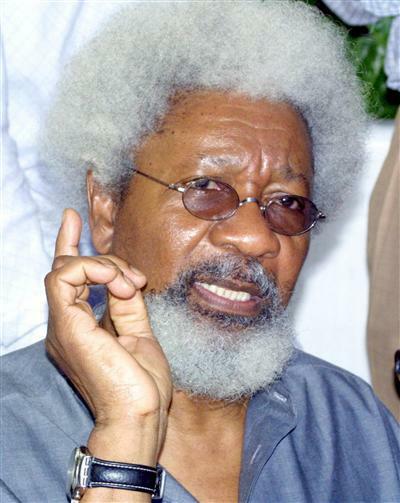 Soyinka, a national treasure by any standards and the winner of Best Afro in Nigeria for many years running, also revealed that Nigerian security services have thus far made no tangible efforts to protect him against the terrorist group. New evidence uncovered however suggests that contrary to what some may think, the SSS are actually taking the death threat seriously and have put measures in place to protect Soyinka. Amongst suggestions put forward by the security agency is an appeal to the Nobel laureate to shave off his Afro and beard. Said a SSS agent: “Nobody will recognise him without this beard so we have told him to cut it off, and to start peaking in broken English.” Funny!! !